Joel Ronald Rosenbloom was born in Gary Indiana on September 25, 1930. A graduate of Horace Mann High School in Gary, Rosenbloom then attended the University of Illinois, receiving his A.B. degree in Philosophy in 1951. He next enrolled at the Indiana University School of Law. Rosenbloom was a Notes editor of the Indiana Law Journal (v. 29) before receiving his J.D. degree, with distinction, in 1954. After law school, Rosenbloom served in Europe as a member of the U.S. Army. Upon his discharge, he returned to Indiana to clerk for James A. Emmert of the Indiana Supreme Court. In 1957 he moved to the nation’s capital to accept a position as an Appellate Counsel for the Federal Communications Commission (FCC). Rosenbloom remained at the FCC for eight years, rising to Legal Assistant to the Chairman (1957-63) and then Special Assistant to the Chairman (1963-65). Rosenbloom is credited with conceiving and implementing the FCC strategy to bring cable television within federal regulatory authority. In 1965, he joined the firm of Wilmer Cutler Pickering Hale and Dorr LLP, in Washington, and would remain with the firm until his retirement in 2004. Due to his extensive experience in communication matters, Rosenbloom led the firm's work with the FCC, dealing with major broadcast transactions and litigation over the Commission's television and broadcast policies and business practices. Rosenbloom served on the executive committee of the Federal Communications Bar Association, as well as the School of Law’s Board of Visitors (1982-88 and 1994-2001). Joel Rosenbloom was inducted into the Indiana University School of Law Academy of Law Alumni Fellows in 1994. 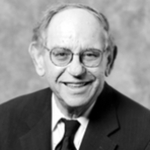 Rosenbloom died on June 24, 2014. "Joel Ronald Rosenbloom" (1930). Notable Alumni. 115.